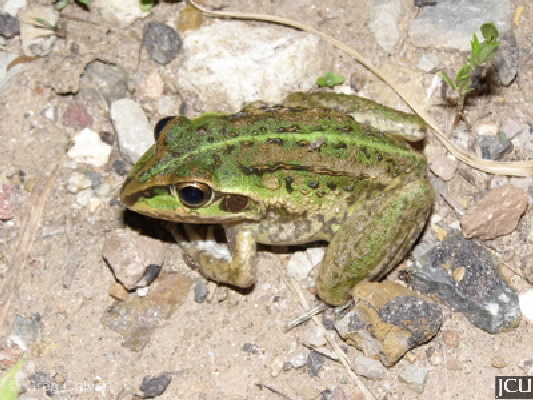 The body of this frog varies from brown to olive or pale green with a green stripe on the back as well as some raised brown warts, the belly is paler with some mottling. 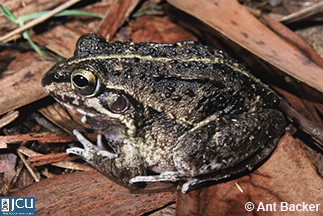 The head is narrow with a pointed snout, fingers are not webbed but the toes are half webbed. Usually found in grassland and woodland areas.